When the devastating earthquake hit Haiti in 2010, Saint Basil Coffee put out the call for help. Knowing that more than 160,000 people had been killed and that another 1.5 million were classified as “displaced”, we wondered how a small non-profit run by one man and a handful of loyal volunteers, could ever make a dent in the size of such catastrophe. But we had faith in our supporters and you came through for us. With that help, we purchased shipping containers that were turned into classrooms, offices and dormitories for teachers and their students. 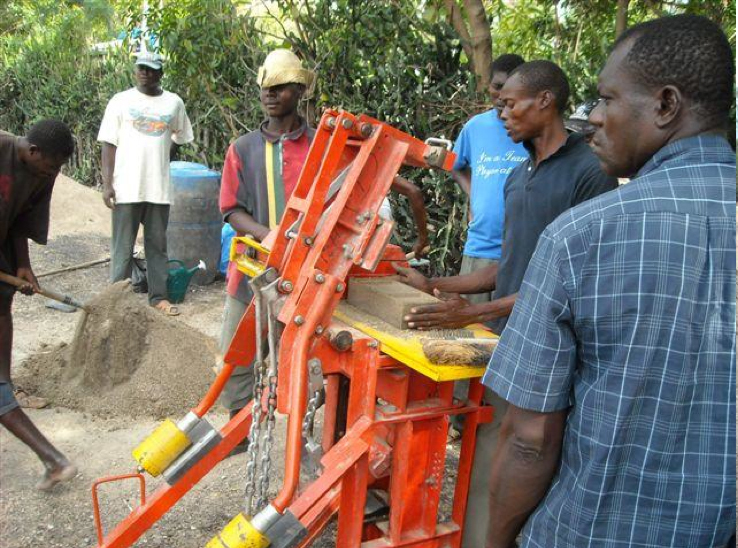 We also were able to use the money we received from your generous donations to purchase building equipment. 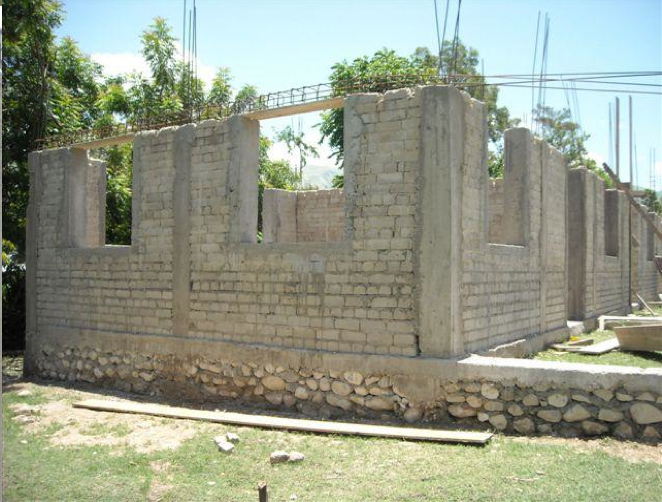 Below are a few photos that highlight how your purchase of Saint Basil Coffee has helped Haitians rebuild their lives one brick at a time. 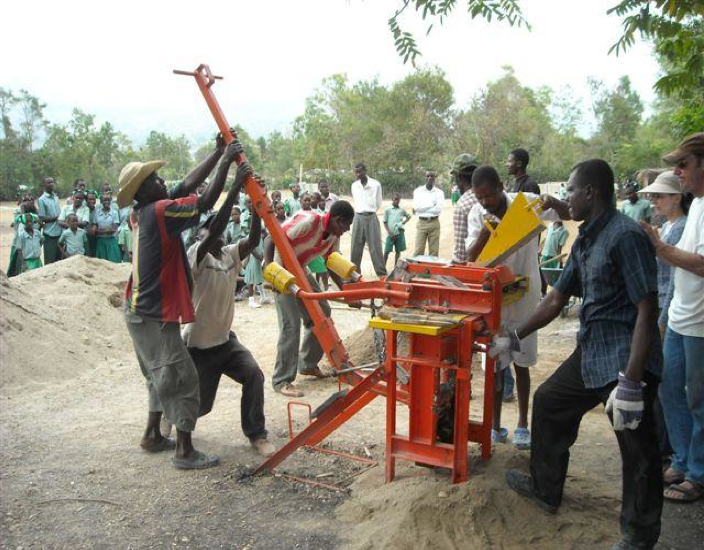 New machinery to rebuild homes. 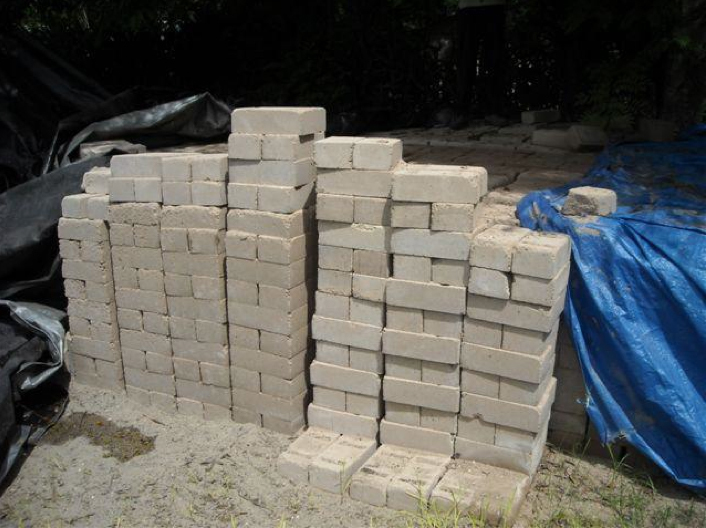 Cinder blocks ready to be used in new construction. A community comes together to rebuild their country. It’s been five years since Haiti was brought to it’s knees from the 7.0 magnitude earthquake that struck in 2010. Progress has been slow going but it is being made and YOU are part of the reason why. People often ask me why I work so hard to keep Saint Basil Coffee up and running. They tell me I’ve done enough and I deserve to slow down. It’s at times like these that I look at these photos and think to myself, “A cup of coffee CAN make a difference!”, and then I pack another pound of coffee into a box and ship it to the loyal and faithful customers who are a big part of the work we do.